Mermaids can be very popular with many girls. This is probably because they're mythical and magical creatures - just like fairies. Unfortunately mermaid party favors are much harder to find than fairy favors for a birthday party. But you can also get some cute and fun mermaid favors if you know where to look. So you can create great mermaid party favor bags for girls - if you think in a creative way. I always try to find stickers for any birthday party favor bag. They're an essential. 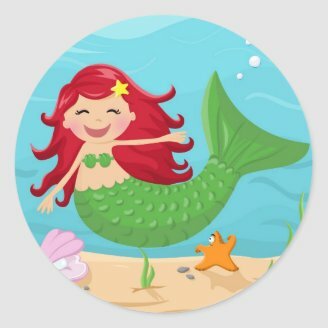 Kids just love stickers, but the trick is to choose stickers that are good for the age group that will be at your mermaid party. 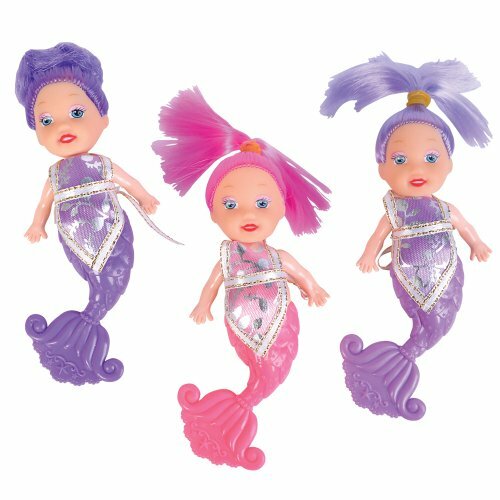 Girls from about age 3 to 7 will love finding these little mermaid dolls in their party favor bags. They're very bright dolls and wonderful for make believe play. Little dolls like this are also really popular with younger girls. These dolls come in packs of 12 so they're also great for collecting favors for your party bag. Bulk pack toys like this are great - and not just for making it easier for you. They're also kinder on your party budget too. Being creative when picking favors for a mermaid themed birthday party means thinking about what things go together with mermaids. Seashells and other sea related things like seahorses, fish, starfish, waves and seaweed can all go with your mermaid theme. Expanding your theme like this makes finding party favors and supplies much easier. I thought these seashells were a nice idea for a party bag. They'll be a real surprise at a mermaid party because party favors don't usually include anything as special as these. Girls also love seashells. They can use them in mermaid themed pretend play at home. Or they can just use them to decorate their room. These shells come in a bulk lot. So think about putting a large shell and a small shell in each bag. Arts & crafts are popular with girls. This means they're a good choice for your party bag. 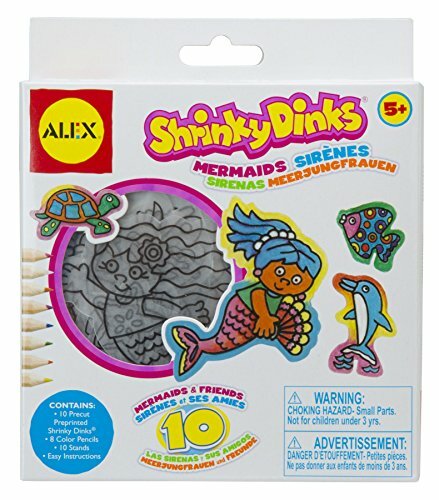 Shrinky Dinks and Sticky Mosaics are very popular with kids and both have great mermaid themed ones. So make sure you check them out if you want to have a fun art & craft activity in your mermaid party favor bags. Putting a mermaid book into your party favor bag is a good way to encourage reading. 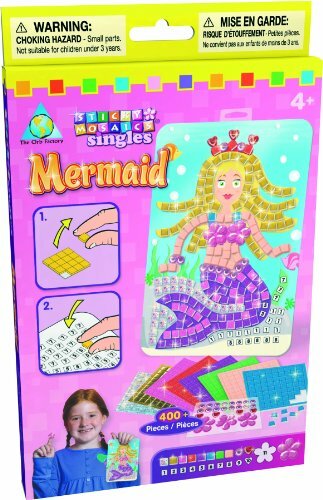 By keeping to the mermaid theme girls will have no idea that the party favor is educational either. For them it's just another great party favor in their bag. Books can be too expensive for a party bag but you can get some nice, lower priced books for early readers. 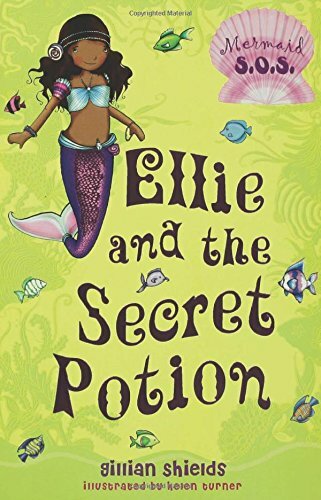 The Mermaid S.O.S books, like Ellie and the Secret Potion, are a good choice. Girls enjoy them, they have a good message in them and they're one of the very few lower priced mermaid themed books. If the girls at your party are fans of Croc Shoes (or similar) these mermaid shoe charms will be a big hit. These little mermaids aren't just cute charms.. They're also a real novelty because they're 3D. 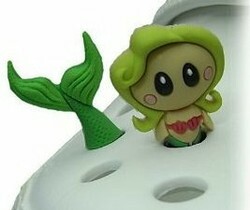 An effect that makes this little mermaid look like she is swimming in the shoe. Great fun to put in a party favor bag. The movie "Finding Nemo" has made Clown Fish popular with kids. These little fellows are also tied in with the mermaid theme too. You can just imagine a mermaid swimming around with a few Clown Fish friends. 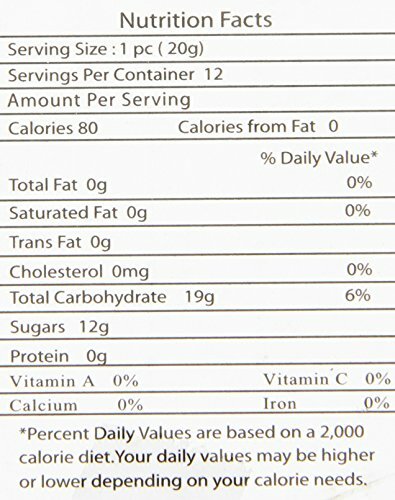 Gummi candy is also very popular. This means these Gummi Clown Fish are perfect for a mermaid birthday party favor bag. 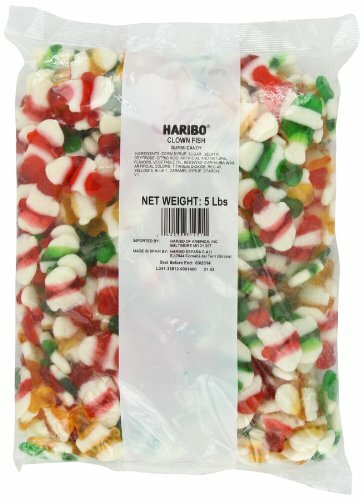 They come in a big bag so you'll need some cellophane to wrap a handful up for each child's bag. How cute are these Tropical Fish Lollipops!!! I love them. They've all got a cute, cartoon look to them and have great expressions on their faces. They're colorful too. 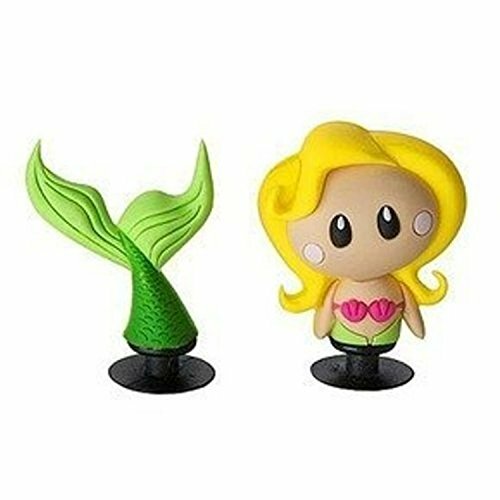 So I think they're a must have for a mermaid party favor - as long as the girls at the party are old enough for them. Lollipops aren't a good choice for very young children. These come in packs of 12 lollipops so they're easy to buy for a party favor too. Seashell cookies would be a great idea to add to your party bags. Cookies are easy to make even if you're not a baker. 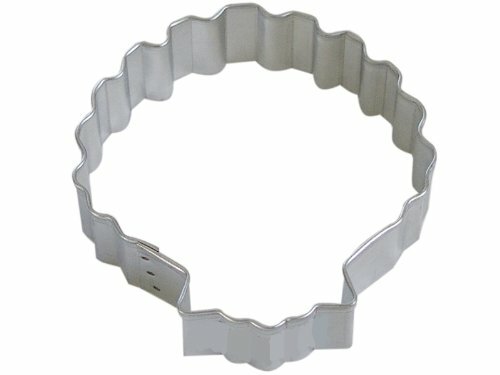 You just need a seashell cookie cutter and some of your favorite store bought dough. Too easy. These cookies will look great when baked and you can decorate them creatively so they look like mermaid approved cookies. You can also wrap them in blue or green cellophane to give a real sea-like, mermaid feel to them. 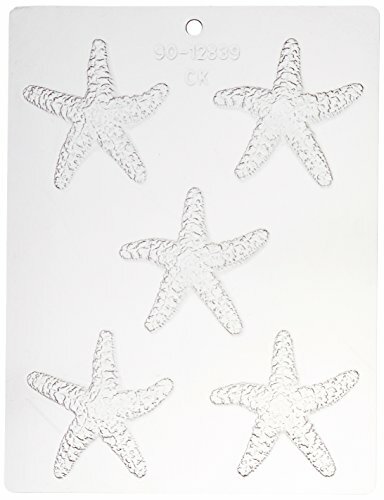 Don't forget about starfish when looking for mermaid birthday party favors for girls. 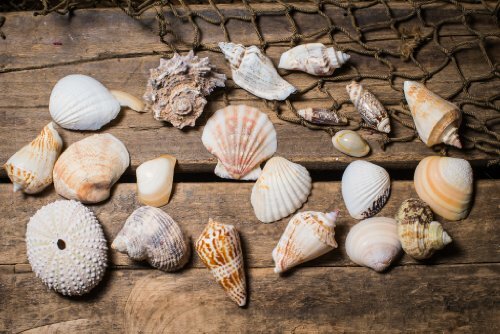 They're a perfect fit with your theme and they'll give more variety than just adding fish and shells to your mermaid favors. Ready made starfish themed favors can be really hard to find - but you can make your own with these starfish chocolate molds. If you've never made chocolates before don't worry. Using chocolate molds isn't as hard as it looks - and your chocolates will look great. When making your chocolates think about making some in white chocolate as well as milk chocolate. This will add more color. You can also decorate your chocolates after they're made too to make them even better for mermaids.